Fortunately, I can save the preset to Cubase's own MediaBay, as a vstpreset. Apologies.. it is in fact working o.k. (it eventually became obvious when I tried the same thing in Digital Performer).. I had my plugin GUI set to "Always On Top", and when I clicked on "Save New Preset as", the small window where you enter the new preset name, was completely hidden underneath (and of course, the first time, I didn't even know there was even supposed to be a window to go look for! .. I think I was expecting the standard Mac File Selector to open ). Hey Vic, good to hear all is well ! You sure are a V.I.P. 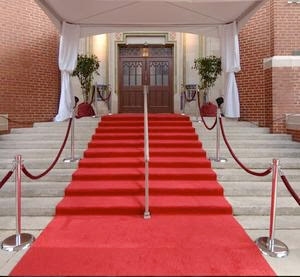 and here's your red carpet. Thanks for your great support and business. EDIT : Oups I missed the issues above... At the end, are things Ok or still some issues ? Just missing the line of top models lining the staircase, but otherwise, much appreciated! . Seriously, though, all is fine as regards saving presets. Unless there is some way of making it so that the small "save preset" window is never completely hidden (can it be made Always on Top"?) ? I purchased the complete DontCrack VIP bundle yesterday. I downloaded the software, installed it and authorized it. Everything completed successfully. Yet, whenever I load any instance of any plugin, the plugin says it is running in demo mode. I followed the authorization instructions carefully and redid the installation and authorization process several times. Nothing helps. I cannot get the plugins to operate except in demo mode. I am using the 64-bit version of the VIP plugins in Reaper 64-bit under Windows 7 64-bit. I also tried installing and authorizing the 32-bit plugins and then loading them in Chainer. No luck -- same problem! I contacted support and they asked me to send the authorization file, which I did (haven't heard back from them after that). They suggested that I make some changes to the Windows 7 admin permissions, which I did, as well. The plugins all still open in demo mode. I would like to be able to use these plugins over the weekend, if possible. Does anyone have any ideas as to why the plugins might open only in demo mode? Every time that I run the authorization, I get a message saying that the authorization was successful, but the plugins can't seem to respond correctly. When you copy/paste your serial when prompt, do you make sure there are no blank spaces before and after the serial ? Thanks, Peter. I appreciate your response and help. I am a software engineer, myself, so I do understand all the issues and complications. I have been trying to do as many experiments as I can think of to try to help. I did redo the authorization being very careful to make sure there was no extraneous white space, either before or after the serial number. I also tried to authorize using the 32-bit plugins using Chainer instead of Reaper, so I eliminated the variables of Reaper versus Chainer and 64-bit versus 32-bit. I checked the permissions on the authorization file, as well. At this point, I don't know what else to try in order to help. I was hoping that some users might have a similar experience and could provide some insight. Thanks, again, for your response. This computer is now authorized. So, the authorization process seems to think it finished successfully. It is just that the plugins don't detect the authorization once they are reloaded -- even if I restart Reaper or Chainer or even if I reboot my system. For the record, in Reaper with Logic 9.1.5 / OSX 10.6.7 / 32 bit the Bundle runs fine. 1- On your desktop, double-click '', select your boot drive (C:), right-click on the drive and open 'Properties' on the displayed menu..
2- When the Properties window appears, on the tabs, select 'Security'. 3- On the 'Group or User Names' list, select 'Administrator' and click the 'Edit' button..
4- On the list, click the check-box to allow permission for 'Full Control', click 'Apply' and close all windows..
You'll have to re-authorize your computer using the serial you received, then it should work. Sorry but we didn't received your email ?? I replied to both of your emails as soon as I received them. I just resent them, again. Do you not receive or check the email address that you send from? Is there a different email address I should be using? Let me know. Can you please tell me, specifically, which files need permission changes? My DAW uses three disk drives, each of which are 2 terabytes (including the C: drive). It is not practical for me to change permissions on all files as I have nearly 2 million of them (LOTS of sample files for Kontakt, for example).  I have changed the permissions for the VIP authorization file, Reaper, etc. Again, it would help me if you could tell me, specifically, what files your code needs permissions set. We install the authorization files in the C: drive into a Dont Crack folder that the installer is creating, the plug-ins are looking at these folders to load presets and authorization files. - Windows XP: "C:\Documents and Settings\Your Account Name\My Documents\Dont Crack"
- Windows 7 & Vista: "C:\Users\Your Account Name\My Documents\Dont Crack"
1) Licensing (this folder includes the authorization files). 2) Plug-In Settings (this folder includes all presets folders & files). Yes, the "Dont Crack" folder is there (under My Documents, Windows 7, 64-bit). It has two subfolders: "Licensing" and "Plug-n Settings". The Licensing folder contains a file called "VIP1.dc", which I emailed to you, as requested (twice). Permissions are set on all those folders and files.